Prospects of increasing exports to Russia look good to Indian clothing manufacturers, with Russian consumerism on the rise. But India has to face tough competition with China who has a firm leadership in the Russian apparel market. India is planning to increase its middle-market clothing supplies to Russia in the coming two years. While the economic growth of the European countries has slowed down due to the recession, the experts forecast the surge in the consumer activity of the Russian buyers. In this situation it would be a good time for Indian suppliers to try to take over a part of the Russian market from China. In his article in the Livemint.com online media Anupama Chandrasekaran gives a detailed analysis of the prospects of increasing Indian participation on the Russian apparel market. According to the publication, the exports of Indian garments to Russia may grow by 30-40% during the next two years. 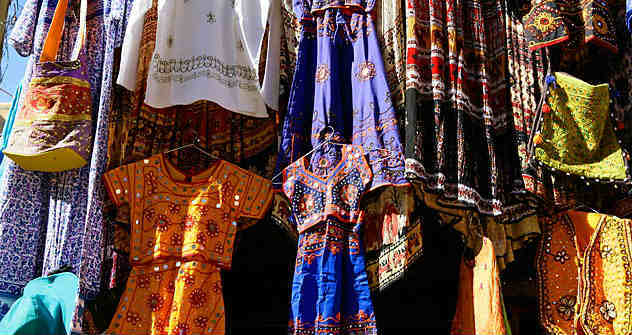 Indian clothing manufacturers’ share in the Russian market is worth $120 million in 2010, or 1% of the total $11 billion. That compares with the 70% share of Europe and the US. The Apparel Export Promotion Group (AEPC), which held talks with its Russian counterpart several times last year, hopes that Indian exports to Russia reach $170 million in 12-24 months. However, despite a relatively low amount of domestic clothing production, Russian market is a challenging territory due to the high competition between garments exporters. At the moment China remains the dominant garments exporter to the Russian market whose share makes almost 60% of the whole imported fashion-industry. But there are other rivals for the Indian clothing manufacturers as well. Lately, Bangladesh has come ahead of India in the global export market, with lower labour costs and custom duty waivers in key European and American markets partly accounting for the increased share of the country’s goods exports. In particular, Bangladesh has taken a 4.5% share of world garment exports, while India’s share is in the same sector amounts to 3.5%, credit rating agency Crisil states. The key trend in the Russian garments market remains the increasing demand for sports clothing items, mainly due to the growing popularity of fitness in big cities. This could be an advantageous factor for the Indian suppliers, many of whom specialize in the said areas. Also, the prices for the sports garments grow, and Russian sports success in the important tournaments as well as Russia hosting the Olympic Games and the World Football Championship boosts the sales in this segment even more.